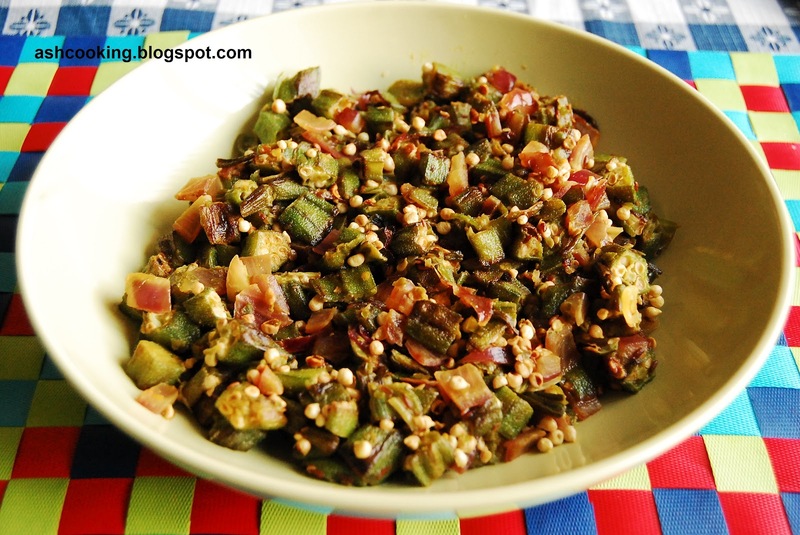 Of all Okra preparations, this simple okra curry is my favourite of all time. 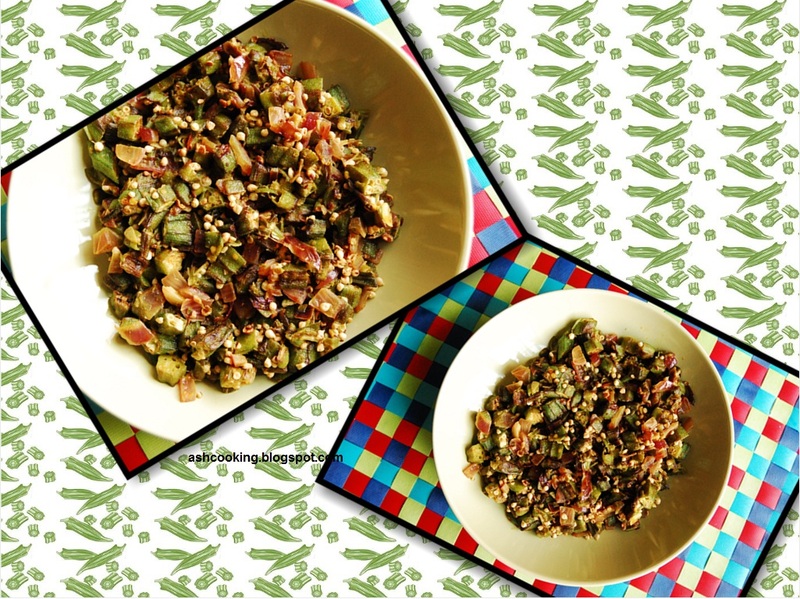 It tastes best when cooked with fresh okras. 1) Heat oil in a wok. When oil turns hot, add cumin seeds and allow them to crackle. 2) Add the okra and shallow fry till they turn little brown in color. 3) Add onion and green chillies. Add turmeric powder and salt. Stir-fry for couple of minutes till onion changes color. 4) If anytime during cooking, the mixture turns too dry, splash a bit of water to keep the moist in. 5) Serve hot with chapati or rice.